Garrett Gustafson is a Senior Consultant with LitCon Group, LLC. He joined LitCon after graduating from Grove City College, where he earned degrees in Accounting and Finance. Prior to joining LitCon full-time, Mr. Gustafson was an intern with the company. He assisted in identifying key documents and analyzed various components of a large claim brought by a government contractor. Before joining LitCon, Mr. Gustafson interned with a solo practitioner in employment law and a federal Tax Court judge. During his internship with the solo practitioner, he performed data quality assurance to ensure the accuracy of factual contentions. 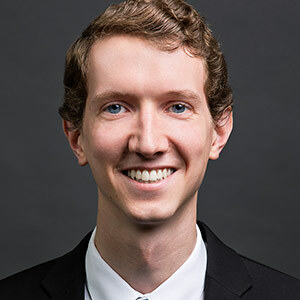 As an intern with the U.S. Tax Court, he completed a wide variety of tasks, including updating BNA Tax Management Portfolios and proofreading court opinions before their issuance.